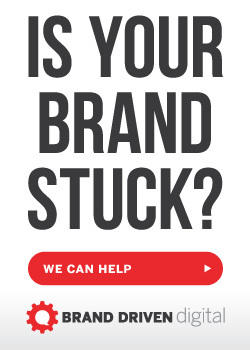 We’re here to help you build a better brand online through social media and content marketing. We want to do this in a way that’s best for your organization. That’s why we offer a mix of strategic consulting, digital coaching, and training and events, as well as all of the great content here on the site including blog posts, podcasts, ebooks, and more. Building better brands has been at the heart of what we do since Dean Westergaard founded our firm in 1981. Even as today’s digital shifts continue to change marketing as we know it, strong brands with something to say matter more than ever. Through the expanded digital marketing services developed by Nick Westergaard and the team, we combine classic brand strategy with savvy digital insights. It’s one of the most exciting times to be in marketing. It’s also one of the most challenging. We help organizations overcome these obstacles and learning curves by diagnosing problems, setting sound strategy, and working together to provide on-going coaching, training, and analytics. More than an agency focusing on implementation, our team serves as a resource for helping companies and their agencies take their digital marketing to the next level. Our workshops and corporate training programs are second to none. 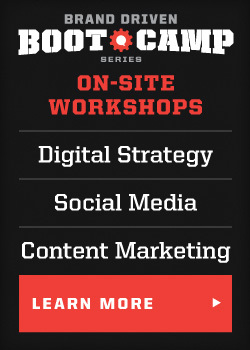 We offer on-site digital marketing “boot camps” that provide intensive and interactive learning experiences. Our small, agile team is composed of experts in their respective fields — digital marketers, content creators, media specialists, and business strategists. We’ve worked with organizations of all shapes and sizes, across a variety of industries. How can we help you? As team leader, Dean works in all aspects of the business, while concentrating on client service, creative, and strategy. Areas of expertise include brand strategy and broadcast media. As our senior copywriter and resident storyteller, his brand-centric approach keeps our clients’ stories at the forefront of all of our projects. Dean got his start in advertising in 1972 on the radio side of the business – first in southwest Iowa and then Des Moines. In 1980 he joined a local advertising agency and in December 1981 he founded Westergaard Advertising from his home in Clive. From the start, Dean’s mission was simple — build strong brands to help clients meet their goals. In 1992 the agency moved west to Adel and in 2007 the Eastern Iowa office opened in Coralville. As the business grows his principles continue to shape our culture. Dean and his wife live just outside of Adel, Iowa. They have two grown children and five grandchildren. 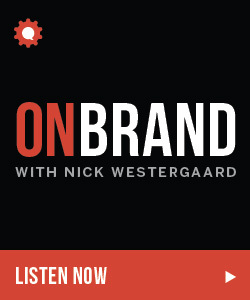 Nick Westergaard is a strategist, speaker, author, and educator. As Chief Brand Strategist at Brand Driven Digital, he helps build better brands at organizations of all sizes — from small businesses to Fortune 500 companies to the President’s Jobs Council. 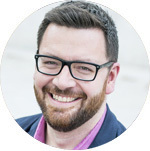 Nick is the author of Get Scrappy: Smarter Digital Marketing for Businesses Big and Small. 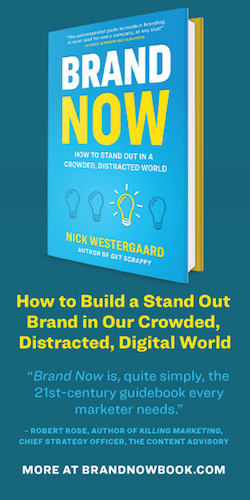 In addition to posting insights on branding and marketing at branddrivendigital.com, Nick is a contributor to the Harvard Business Review and host of the popular On Brand podcast. His thoughts have been featured in news sources such as US News & World Report, Entrepreneur, Forbes, Mashable, and more. 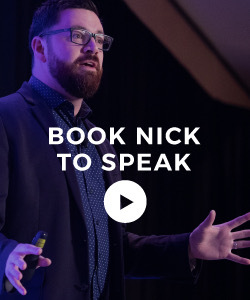 Nick is a sought-after keynote speaker at conferences and corporate events throughout the world (more at NickWestergaard.com). He teaches at the University of Iowa, where he sits on the Advisory Council of the Marketing Institute at the Tippie College of Business and the Professional Advisory Board for the School of Journalism and Mass Communication. 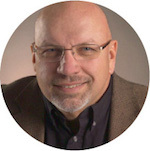 He is also organizer and host of the Social Brand Forum and a mentor at the Iowa Startup Accelerator. Nick lives in Coralville, Iowa, with his wife, five kids, and dog. Angie works on the front lines with our clients, bringing brand strategies to life across a variety of media touchpoints. She is our control tower — managing and scheduling projects through all stages of production while ensuring quality control and timely delivery of our work. 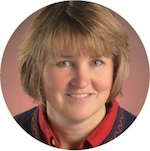 Her areas of expertise include project management and workflow development. Her areas of expertise include product/brand management and market research. Angie worked for six years as a Product Developer and Manager for Build-A-Bear Workshop developing their skins, clothing, and accessories. 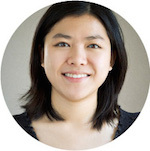 Most recently she was a product developer at TRG Group developing travel accessories. Both positions involved extensive travel throughout the United States as well as several trips to China. 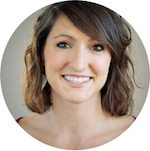 She holds a Bachelor of Science in Business Administration with a marketing focus from Truman State University. After 10 years in St. Louis, Angie and her family returned to Iowa. She lives northwest of Adel, Iowa with her husband and two girls. Cate functions as our control tower — managing and scheduling projects through all stages of production while ensuring quality control and timely delivery of our work. 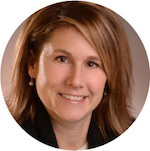 Her areas of expertise include project management and workflow development. She is also the logistical coordinator behind our live learning events. Prior to joining the team, Cate worked for the University of Iowa for four years in the Business Manager’s Office and in the School of Art and Art History. She also served as an English Instructor at Dalian Nationalities University in China. 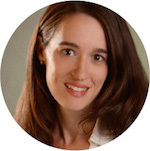 Cate is a graduate of Lewis & Clark College in Portland, Oregon with a major in Political Science, and is completing her MFA in Creative Writing from the University of California, Riverside. Cate lives in Coralville, Iowa with her husband, Bradley, and their two small dachshunds, Lola and Frida. Kristie Anderson heads our accounting operations and is responsible for bookkeeping and monthly invoicing. 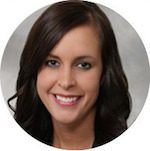 Kristie graduated from the University of Northern Iowa with a degree in accounting and has spent her career in both the public and private sectors. For the past seven years she has been running an accounting business from her home. Kristie lives just south of Adel, Iowa with her husband and two children. She loves attending her kids’ many activities including sports, dance and cheerleading. She volunteers at their school, and enjoys scrapbooking and reading. As Search and Analytics Coordinator, Sarah works with our clients on paid search and social advertising, developing strategies, managing budgets, and aligning them within clients’ brand strategies. As an AdWords certified professional, Sarah has the expertise to help you grow your business using Google AdWords. She also develops and provides clients with regular reporting and scorecards. Sarah graduated with Honors from the University of Iowa in May 2012 with degrees in Marketing and Biology, and a minor in Studio Arts. Prior to graduation she worked as a research assistant in the University of Iowa Department of Marketing and was a dedicated student member of the Marketing Institute. She has studied abroad in both Spain and China. Sarah currently lives in Gurnee, Illinois, a northern suburb of Chicago. As a freelance writer, Jordan works with our clients on blog content, newsletters, press releases, and more, aligning all communications with the organization’s brand image. Jordan also serves as Communications Advisor at Wixted & Company. Prior to her current role, she worked as communications manager for the National Pork Board. She began her career as the first employee in the communications department for Vermeer Corporation. A graduate of Central College, Jordan graduated with honors with a degree in English and a minor in Spanish. She currently resides in Des Moines, Iowa with her husband, Brian, two dogs, Bill and Murray (yes, that was intentional), and can be found jogging the local trails with the two in tote. As Director of Digital Strategy, Meghann works with clients on grounding their social media and content marketing in solid business objectives with measurable outcomes and leading implementation for all digital initiatives both internally and externally. She also teaches strategic communication and social media marketing at the University of Iowa School of Journalism and Mass Communication. 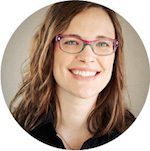 Meghann has a Masters in Strategic Communication from Washington State University in addition to her undergraduate work at Waldorf College and the University of Iowa. 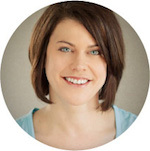 Meghann serves on the Coralville City Council and is a regular contributor to the Iowa City Moms Blog. She also advises political campaigns and nonprofit organizations on their communications and digital marketing strategy. Meghann lives with her husband Nick Westergaard and five kids in Coralville, Iowa. Stay up to date on all things Brand Driven by signing up for our email program. Don’t Miss a Post — Remember, for the latest brand-driven insights remember to sign-up for email delivery or subscribe via RSS. Sponsorship Opportunities — To learn more about sponsoring this blog or our event series, please contact us now. We regularly review books here that you might find useful. Sometimes we’re sent advance copies from the publisher while others are simply of our own choosing. We use Amazon Affiliate links to point to the books reviewed. This blog and other websites our firm maintains are hosted on MediaTemple. We’re a member of their affiliate program. For our client work, we use Sprout Social and are affiliates there too. Nearly all photos of our team members and events on this site were taken by the talented Todd Adamson of Adamson Studios in Iowa City. We’ve been known to rave about Todd and why good photos matter on blogs. The Brand Driven Digital logo is a registered service mark of Westergaard, LLC, an Iowa limited liability company. Access bios, logos, and more by visiting our online media center.